Since 1983 AgSpares has been "Keeping tractors in action" helping 1000's of customers get the right part at the right price for their tractors. AgSpares® is a family business, which was established in 1983 to supply farmers with tractor parts for all common tractor models in New Zealand. 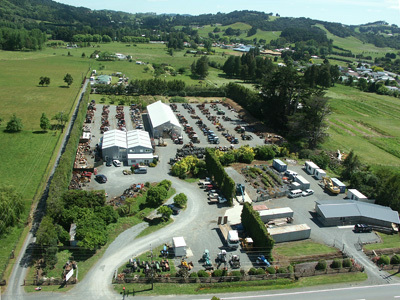 The company is now the leading Supplier of new and used tractor parts to Tractor Dealerships and farmers throughout New Zealand, as well as supplying clients in Australia and other countries across the globe. That’s right, whether you are in Poland, Czechoslovakia, America....... been there done that, & we’ll help you too. You can now buy your new tractor parts online on our ‘fast-moving parts’ website backed up with over 15000 more parts available from warehouses strategically placed throughout the country. We have New Zealand’s largest range of aftermarket parts including Sparex, Vapormatic, BareCo, Bepco & A&I parts for McCormick, Case IH, John Deere, Ford New Holland, Massey Ferguson, and many other great brands. If you can’t find the parts you’re looking for PHONE 0800 788 788 or send us an Email, Remember, we have over 15,000 stock lines available, right now. Now a preferred supplier to Capricorn, we also accept CRT, FARMLANDS & RD1 Cards.